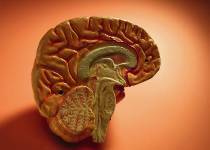 Lithium medication is still the most researched and proven treatment for bipolar disorder. So why is lithium prescribed less and less? Despite all the misinformation, stigma and stereotypes, it is still the first line treatment for bipolar disorder / manic depression. The truth is that lithium is cheap, effective, proven, and safe. There is a lot of mystique around lithium, but in reality it is a natural salt – a simple mineral. It is ironic that so many folks resist taking lithium, insisting they want a “natural” approach. Lithium is actually as natural as it gets – it just happens to be one of the most effective bipolar medications. who are out to profit from their own products. Everyone has different treatment needs. Many people do better on other leading bipolar medications such as Depakote or Lamictal. However despite Depakote being the number one prescribed bipolar drug in the US, a number of studies have shown that lithium is THREE TIMES more effective in preventing suicides. My message is simple – I know lithium is not for everyone, but all my experience and research has convinced me that everyone should try it first to see. It has the most research, best track record and experts like Kay Redfield Jamison, psychiatric professor at Johns Hopkins and world renowned bipolar author and scholar (and who uses lithium herself) continues to explain lithium is still the gold standard in bipolar care. Lithium medication saved my life. 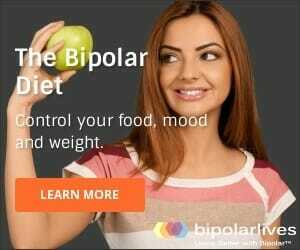 Many people whose lives could easily be transformed from bipolar hell resist this cheap and effective treatment, often due to nothing but myths and half-truths. I know because I was one of them! I should have done my homework. You see, modern lithium treatment involves lower doses and therefore fewer side effects. This is something I learned the hard way. The day I was diagnosed as bipolar my psychiatrist lent me a copy of Kay Redfield Jamison’s autobiography An Unquiet Mind. It is a wonderful book and reading it answered a lot of questions for me. But it completely freaked me out about taking the “miracle” salt because Dr Jamison describes having terrible side effect problems with reading and concentration. Then I did something really dumb – went on a amateur website about psychotropic medication and read that taking it makes you fat, bald and stupid. I never did any proper research, and I missed a really important passage in Dr Jamison’s book about what happened WHEN SHE SWAPPED TO A LOWER DOSE! So I tried Depakote, Geodon, Neurontin, and a whole lot of other things – and guess what – they made me fat, bald and stupid. More to the point, they did NOT stabilize me. Finally, at the point of last resort I tried it. WOW! Now I am stable, happy and healthy. And I have finally read the part in An Unquiet Mind where Dr Jamison describes the benefits of being on a low dose. Duh! Lithium has the most research and evidence behind it and is particularly known as an anti manic. It is good for preventing suicide, but weak against depression. Lamictal has evidence showing effectiveness against depression, but is not as effective against mania. Zyprexa (olanzapine) is very effective, but is so strongly associated with weight gain, diabetes and other serious side effects that it rarely the preferred first choice. Why is lithium still the gold standard? Why is lithium still regarded as the first line treatment for bipolar symptoms? The main reason is that it treats the broad range of bipolar symptoms more fully than any other medication. It is effective against both mania and depression, and it reduces the risk of suicide. As well as stabilizing mood, it slows down the frequency of cycling. Plus, we have the most research on it, it is much cheaper than new medications, and it is arguably the most “natural” medication, being based on a simple and naturally occurring mineral salt. 3. The Texas Medication Algorithm Project (TMAP). Note: All the guidelines differentiate between manic, mixed, and depressive episodes, and acute episodes. Lithium is NOT the first-line treatment in all circumstances, especially not for depressive episodes. Lithium does require more proactive management than other medications. The level in the blood must be kept within a very narrow range. Too little and it is possible to slip back into mania or depression – too much and side effects may become unpleasant or you may even risk death or serious health problems from lithium toxicity. This does not seem to be the whole story of why lithium is effective and it does not explain why other mood stabilizers, that do not target glutamate, can also help. The common US brands are Eskalith, Eskalith CR and Lithobid. In Canada you will see Carbolith, Duralith and Lithane. Sometimes lithium meds come as simple generics are labelled with chemical names such as lithium carbonate or lithium citrate. The form may be as a capsule, extended release tablet or a liquid solution. Dosing may be 2-3 or 3-4 times per day, depending on how much you need and whether or not you are using the extended release version. Usually each tablet, capsule or teaspoon of liquid contains 300 milligrams, bit 150, 450 and 600 milligram variations are also available. Exact doses and dosing schedules will be based on your blood test results, body mass, diet, symptoms, and individual response. The goal is to minimize the dose in order to minimize side effects while also ensuring you maintain a high enough and constant enough level of lithium in your blood to prevent mood swings. Patty Duke, for example, takes her “little beige pills” twice a day. 2. Does lithium cure bipolar? No. It is an effective treatment, but it is not a cure. Someone who stops taking their lithium medication will probably relapse. 3. Will I ALWAYS have to have blood tests? Yes. However these become needed far less frequently with time and today there is an innovative new test available that can be administered right there in the doctor’s office. 4. How should lithium be stored? In a cool, dry, dark place, out of reach of children. Don’t keep your lithium medication in the refrigerator or in the bathroom. 5. Does lithium require a prescription? Yes! It also requires careful monitoring from an expert clinician who is experienced in looking after patients on lithium medication! This is NOT one of those medications to buy over the Internet! 6. What are some good sources of further information? A nice easy read that still has plenty of detail is the excellent booklet, by James W. Jefferson & John H. Greist Lithium and Bipolar Disorder: A Guide, Lithium Information Center, Madison Institute of Medicine, 2004, available from Amazon for just $5.95. Reliable, trustworthy and unbiased information on lithium medication is available in lay terms from two very experienced doctors: Jim Phelps MD and world expert, Dr Manji. WARNING – Only read the above links from Dr Phelps and Dr Manji if you want some GOOD NEWS for a change! Up to date, accurate and complete lithium patient education is proven to significantly enhance outcomes. Medication compliance, symptom level, weight gain and quality of life are all on-going challenges for people taking lithium. Patient education has been demonstrated by research to improve all of these problems. 1. Taking medication as directed. 2. Understanding risk factors for relapse. 3. Recognizing warning signs for relapse. As well as improving medication compliance and attitudes to lithium, education has been shown to reduce relapses and improve social and occupational functioning. Drug companies who provide lithium medication routinely provide lithium medication patient education sheets along with the drugs. You have probably received one of these from your pharmacy. As someone initially diagnosed with schizophrenia, and then as bipolar 1 with psychosis I can honestly say Lithium has saved my life. It has given me a life. Almost half of my family has either schizophrenia or bipolar and none of them are ever medication compliant. Because of this they are in and out of jail, two have committed suicide, none are independent. I have diligently taken my lithium since my second bipolar diagnosis and have finished college, have a career, a spouse, house, friends, etc. It amazes me, I contribute it all being possible because of my ‘sanity pills’ as I jokingly call them. I realize there’s drawbacks such as not having children but the trade off of having my life more than out weighs the cons. Plus there are always kids needing adoption. I’m glad I found this resource. ? Thank you for creating it. Very proud of you for being an example in your family. What are your thoughts on combining lithium with an omega 3 fish oil supplement? What is a realistic timeline that Lithium (or other medications ex. anti psychotics) usually kick in if someone is currently in a manic state? I understand that it can be case by case. Just curious if there’s a general timeline? I believe these testimonies, but the efficacy of lithium is not black and white. Recent analysis of the research finds that lithium reduces relapse rates from about 25% to about 15%, which is a 40% reduction in relative terms, which is significant but nothing close to 100%, and the variability of results from one person to the next is bigger than this differential. By all means, if you have severe bipolar disorder or you are genetically disposed to relapse, maybe you should take it for sure. But for people with less clear cut risks of relapse, you should weigh the possible benefit against dangers involving your liver, thyroid, kidneys, weigth, lethargy, sexual function, and so on. There are often other risks as significant as relapse. Good luck with it!